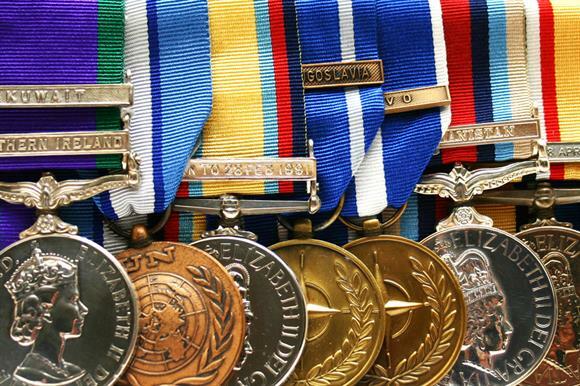 There is a "concerning lack of safeguarding practices" and issues with fundraising practices at newly registered military charities, according to a Charity Commission report. When surveying a random sample of 21 military charities registered with the regulator since 2007, the commission found a litany of problems involving fundraising, financial controls and the safeguarding of beneficiaries. Its report says the commission decided to carry out the exercise after hearing concerns about fundraising practices and the adequacy of safeguarding procedures, particularly for veterans with physical and mental health needs, such as those suffering from post-traumatic stress disorder. The report says some of the military charities in the sample that used professional fundraisers did not have fundraising agreements in place, which is in breach of legal requirements. It says that some of the charities could not demonstrate why using a professional fundraiser was in their best interests, and had not assessed or managed reputational risks associated with the fundraising methods they used. Some had "not operated systems or controls to demonstrate sufficient monitoring which ensures the charity receives all of the funds raised by the fundraisers and people given permission to raise money on the charity’s behalf", the report says. The report also highlights concerns about safeguarding, particularly in charities dealing with veterans suffering from PTSD. "The commission found a concerning lack of safeguarding policies and practices in some of the charities and a need to strengthen existing policies in a majority of the others," the report says. "From the evidence seen, this was due to the trustees not having considered their beneficiaries to be vulnerable." The commission says in the report that in many cases failures in safeguarding or fundraising policies were linked to other problems, such as insufficient controls over the charity’s finances or a lack of financial planning. There were also concerns about complaint policies and the management of conflicts of interest at some of the charities included in the sample, the report says. But it adds that the charities examined were generally set up with good intentions and a passion for helping military veterans, and the report highlights some good practice, including effective collaborative working to help beneficiaries and cooperation between trustees. As a result of the commission’s work, one charity ceased to operate and another is in the process of closing down. Michelle Russell, director of investigations, monitoring and enforcement at the Charity Commission, said: "My message to those thinking of setting up new military charities is to think carefully before doing so. There are other ways of supporting the armed forces community, including supporting with money or time an existing, established veterans charity. Setting up a new charity might not be the most effective way to help."